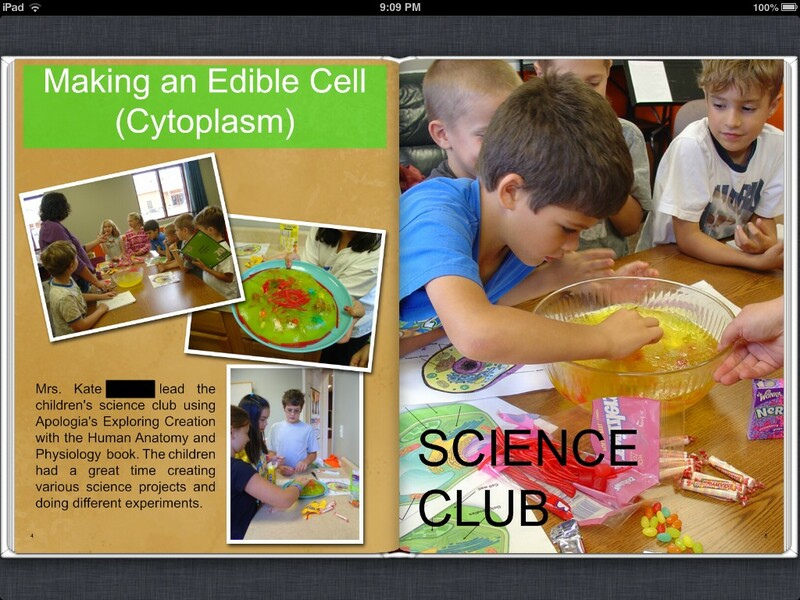 All of the images I will be sharing are screenshots of my e-Yearbook. 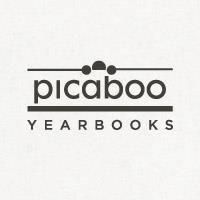 Picaboo Yearbooks offers an online software program to help you document your child's school year. 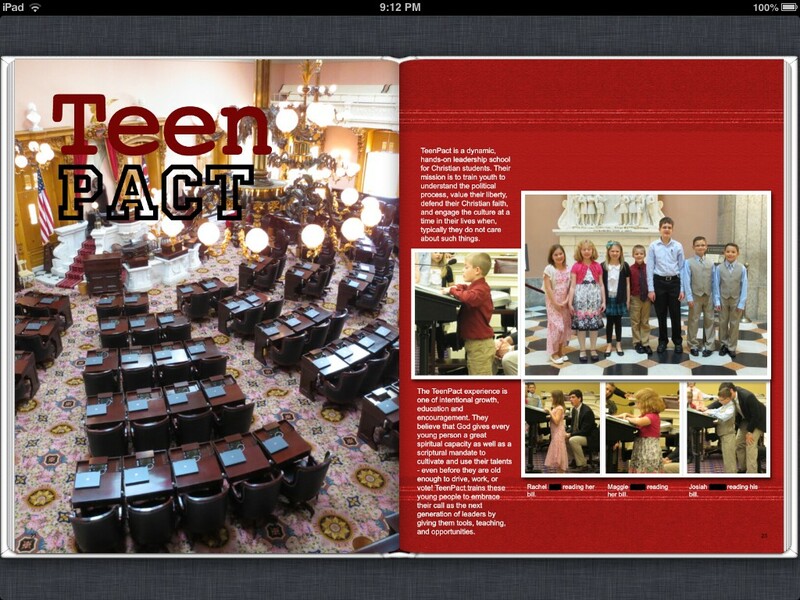 They also offer several tutorials to help make designing your yearbook a pretty simple process. The book can be created for your own personal home school or would also be great to use with a Co-op. Because it gives you the option of assigning a Senior Editor, Photo Editor, and Editor, this presents a great opportunity for your students to participate in a yearbook editing class. I used it not only to document my children's school year, but all of our homeschool support group's field trips and other events as well. 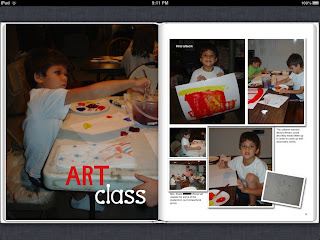 Prior to beginning my journey in homeschooling, I was an avid scrapbooker, including digital scrapbooking. Therefore, I was very curious to work with this program to see its ease of use. Their informative videos guide you through the whole process on how to create, save, and order your book. These videos helped make the program pretty simple to use. Here's a link to the video that most helped me. This video takes you step-by-step through the process of creating your book. When designing your yearbook the first thing you'll want to do is upload your photos. 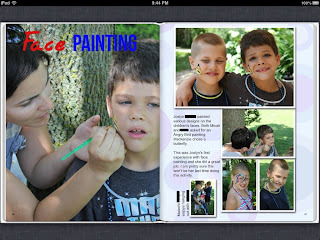 Some of the items Picaboo Yearbooks offers include: digital background papers (including various colors), various fonts, and layout templates (you choose the template and then place your photos in the boxes provided). They also offer digital stickers and give you the option of uploading your own graphics as well. The bucket of flowers on the left page is one of their stickers. The white box above the photo on the right is where I had typed names that I deleted for the purpose of this post for privacy reasons. 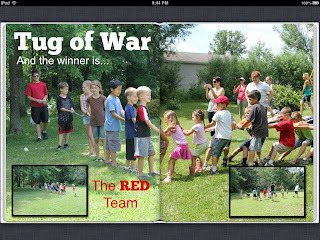 The red bar shown here is a graphic I created using another software and then uploaded to Picaboo Yearbooks. 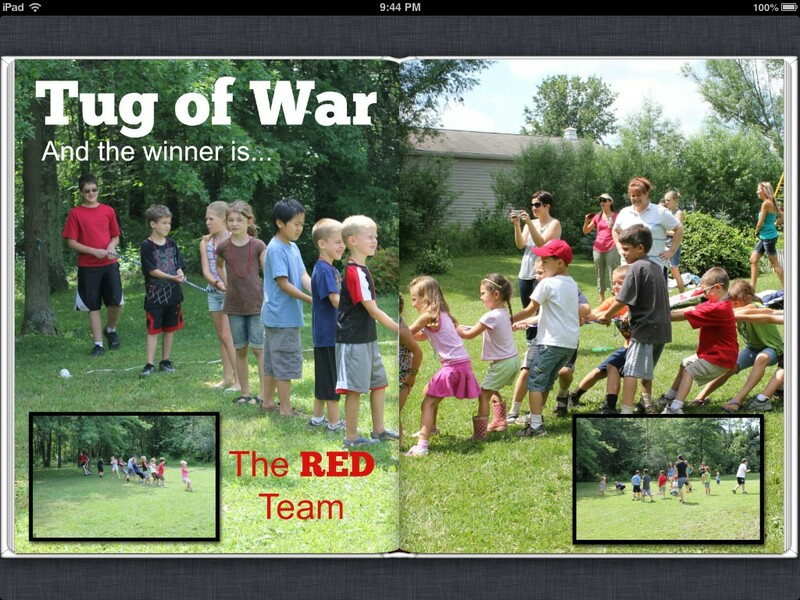 I used one of their templates for the layout on the right. As you design your book, by looking at the top right of your screen you can view the cost of your book. 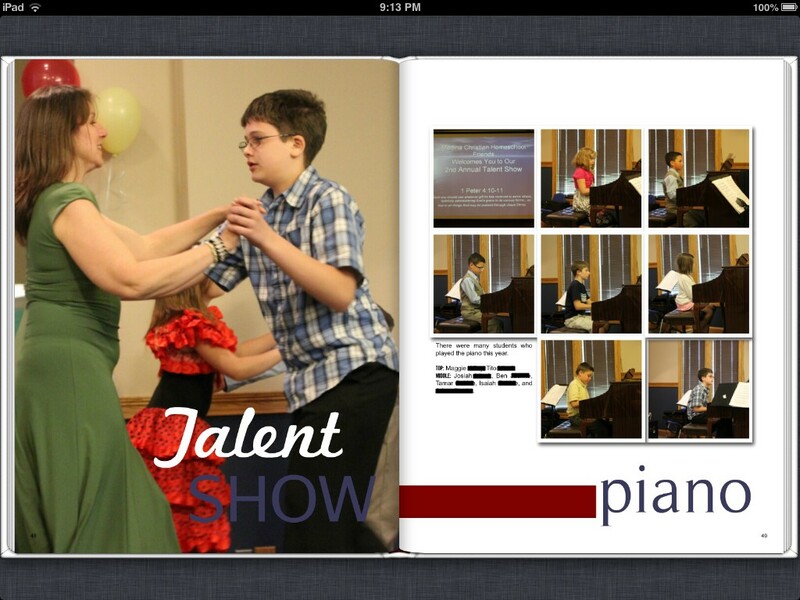 The program keeps a running total for you. This was very helpful for me as I added each additional page over the 20 included with the book. Another GREAT advantage in using Picaboo Yearbooks is that they offer Live Chat, so if you have any questions, you can quickly get help. I found this to be very useful. The quality of the printed book and printed images were AMAZING! The turnaround time from when you place your order to when you receive your book is three weeks, although I received mine in two. As soon as I had it in my hands I showed it to some of the members of my homeschool support group and they were all in awe of it. Many of them were excited at the prospect of my creating a yearbook for the group next year. To help you with some design ideas, Picaboo Yearbooks offers a link titled, Yearbook Ideas. 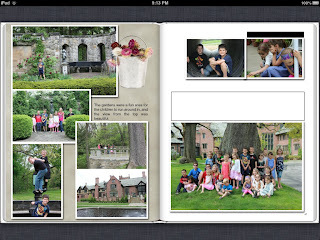 This is where you can view some of their sample books and view their layouts. 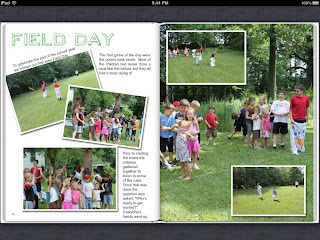 The idea for the font I used for the Field Day title on the page below was from one of their sample pages. If I gave grades to products I would give this an A+. I love that my children will now have their very own school yearbooks which can be signed by their homeschool friends. 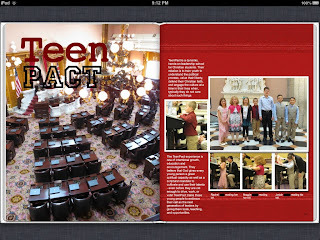 To read what others on the Crew have to say about Picaboo Yearbooks, click on the banner below.